I am a huge nail polish hoarder and practically buy nail polish anytime I go shopping. I love doing the accent nail and mixing and matching colors, but sometimes that can get a little boring. 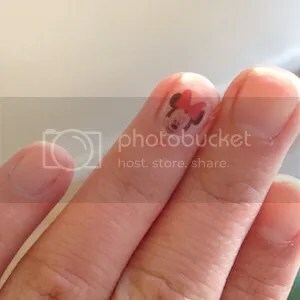 I want a little creativity on my nails, like a maybe a cat or something Disney related. Unfortunately, the one thing I’m terrible at is painting designs on my nails. I really don’t have the artistic ability or patience to even try so I thought I’d create nail decals using temporary tattoo paper. What I really like about this is that I can not only use any picture I want, but I can also use pictures of my own and make my nails more personal. Step 1 – Find any images you want to create nail decals out of and insert them into a Word document. Once you insert the image that you want, you’ll have to resize it so it fits your nail properly. Also, don’t forget to flip the image especially if there’s writing so it doesn’t come out backwards! Step 2 – After you have all of your decals set up on the Word document, then you are ready to print! I always like to do a test print on regular printer paper first just to make sure that they are the right size before actually printing on the tattoo paper. After you print off the tester page and you like the way it looks, put the tattoo paper in your printer. For the specific paper that I have listed, make sure that the images print on the glossy side. Step 3 – Once you have your images printed on the tattoo paper and the ink is dry, apply the adhesive sheet onto the images making sure that it’s lined up to the end of the tattoo paper. Then peel away the rest of the backing while smoothing the adhesive down onto the paper. 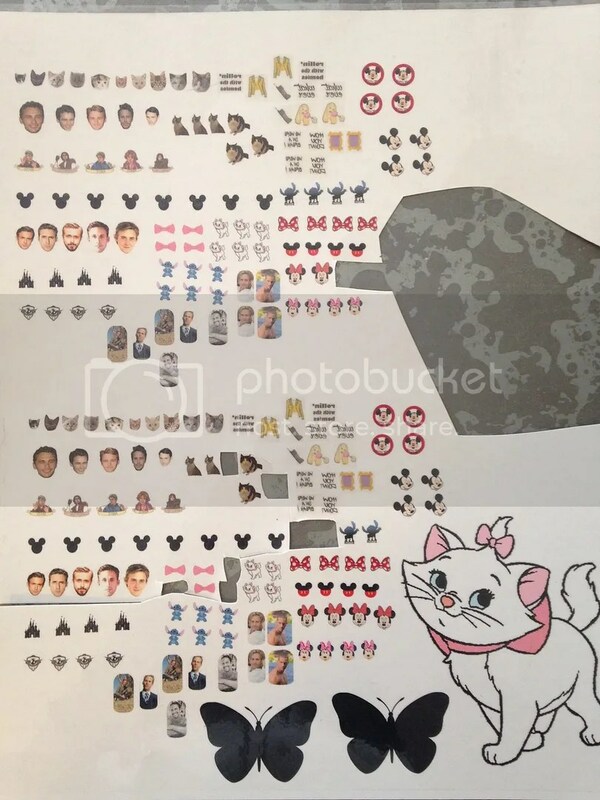 Step 4 – Pick whatever image you want to use as your decal first, cut it out, and put it on your nail. They go on just like normal temporary tattoos. They actually last quite a bit with a top coat over them, which is so nice! Here’s a picture of the first sheet of nail decals that I did.